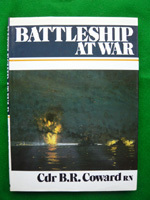 In common with other books in the ‘At War' series, the aim of Battleship at War is to describe ‘what is was like to be there'. Through the illuminating accounts of midshipmen men, signalmen, engineers etc, Cdr Coward paints a vivid picture of life on-board battleships during both world wars as well as the later Korean and Vietnamese conflicts. 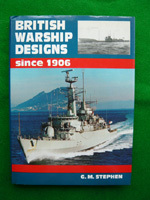 First published in 1987 by Ian Allen Ltd.
British Warships designs since 1906 is a vigorous appraisal of the Royal Navy's ships and their effectiveness in combat. 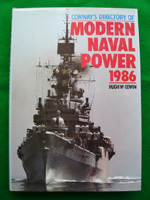 It considers the performance of ships in service as well as their design specifications, challenges the reputation of several vessels and types, and in particular examines the relationship between actual design and other features in the failure of warships to reach a satisfactory operational performance. Original book in very good condition with photographs and illustrations. During the spring of 1982, the waters around the Falklands and South Georgia saw the first major naval action for 37 years. Far from being only parochial and passing interest to the participating belligerents, the lessons and ramifications of this brief but bitter struggle are still being digested worldwide by naval operational planners, warship designers and naval systems developers alike. Huw Conwin is a management consultant with a lifetime's involvement in the defence industry and this book describes his observations. 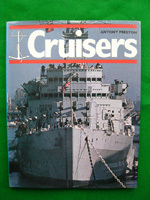 First published in 1985 by Conway Maritime Press Ltd.
Anthony Preston, one of Britain's most respected naval historians unravels the complex history of the cruiser. 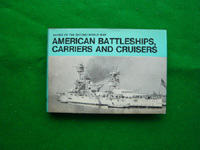 Cruisers is a book that will appeal to every naval war buff. 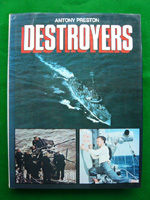 In this lavishly illustrated volume noted historian Anthony Preston relates the exiting saga of the great destroyers of all the maritime powers. Rare photographs, maps and cut away drawings embellish a text that is as rich in technical detail as it is in anecdote and fast paced narrative. 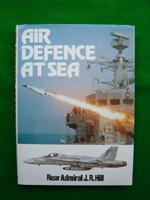 First published in 1987 by Bison Books Ltd. 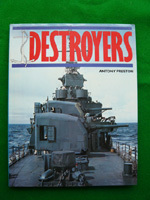 In Destroyers the noted British naval historian Anthony Preston relates the highlights of the destroyers fighting career. He also recaptures the flavour of service aboard these famous ships. The book is generously illustrated with photographs and maps. Original book in excellent condition with photographs and maps.